Views on how the BNP's new membership policy might affect its support. BNP members are said to be fleeing the party because the law now compels it to open membership to non-whites. Leaders of the rival National Front have told the BBC's Politics Show that even BNP party organisers are turning to them. The National Front boasts it is now the only party that can claim "white purity". The BNP denies losing members but accuses the Government of changing the law because it has become too popular. The British National Party was forced to change its constitution in February 2010 following a court order claiming it was breaching new equality laws. 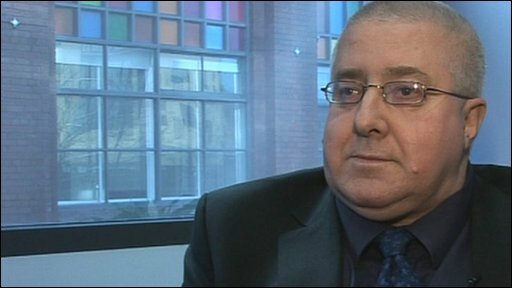 Yorkshire regional spokesperson Chris Beverley, a councillor in Leeds, says the party is being targeted because it has grown too powerful. "We have two elected members of the European Parliament and we are sure to win seats at the general election," he tells the Politics Show for Yorkshire, Lincolnshire and the North Midlands. "The National Front hasn't been taken to court like us because it is so small." But he denied that there was any kind of "mass exodus". In fact in the 1970s the National Front was the main force of the far right in Britain. It organised a number of marches through areas with a high concentration of Asian and Afro-Carribean residents. Many ended in violent confrontations. Twenty years ago the vast majority of its members split to form the BNP leaving a small rump behind. Since then the National Front has been largely unheard of and its national membership is thought to be below 1000. But its national press officer, Yorkshire-based Tom Linden, claims 13 BNP branches have at least discussed switching allegiance. He has named four in Yorkshire: Todmorden, Hull, Bradford and Colne Valley.